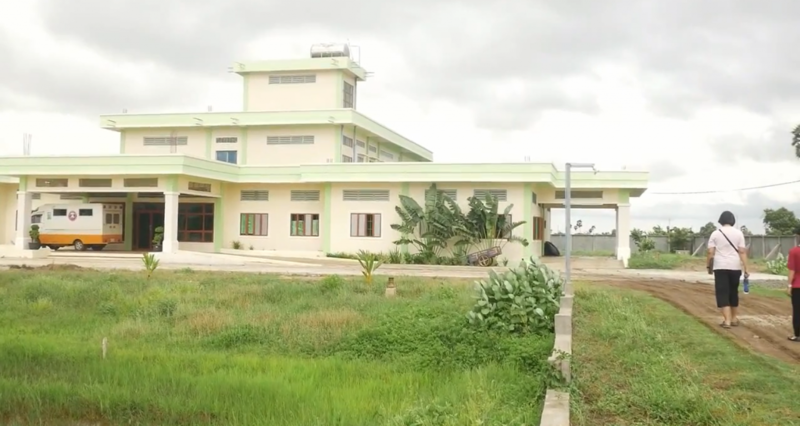 “The vision of establishing a Christian College of Nursing came after KEF and its affiliated NGO, BILEG received support to build a Mission Hospital in Baray District, Kampong Thom Province. When the hospital was ready to open its doors to patients, we realised that Cambodia is in short supply of Nurses, especially well-trained nurses. Three years have passed, and the more we saw how Cambodia needs Nursing Schools, the more we needed to do something about it. In the cities and countryside, hospitals both public and private are teeming with patients. It is good that there are now many Cambodian graduates of Medical Schools as more Medical Colleges have opened in Phnom Penh. But the number of Nursing Schools did not catch up. We discovered that there are many students in our province and other provinces who are interested in becoming nurses, but they cannot afford to go to the cities to study nursing. The few schools of nursing in Phnom Penh are overcrowded and are short of instructors. Thus, we envisioned that Solid Rock Mission Hospital can recruit missions-minded teachers and nurses to serve in Cambodia, they can also teach at the College of Nursing. And in this Christian College of Nursing, the Khmer students will continue to learn the Word of God. We trust that many will come to know the Saviour as they study here and are discipled. We are in the process of applying for a permit from the Ministry of Health. One of the requirements is that we should have our facility for classrooms, laboratories, and Library in addition to the usual amenities. We can build these rooms on the first floor of the current Solid Rock Mission Hospital. One generation shall commend your worl<s to another and shall declare your mighty acts Ps .145:4. I have been thinking lately of how we can all prepare to leave a spiritual legacy. A spiritual legacy is a record of your life of faith. It is what you leave behind that lives on in the hearts, memories and actions of others. I learned very early in my life of the centrality of Christ in my father’s life. He spoke to God as a friend in his personal devotions. I learned about his faith in the living God, especially in the tough times. It has been said that trials not only work our faith, they can also prove our faith works. My dad went through many trials, but he stood firm and sought the Lord in every situation. However, the most important legacy my dad left for his family and friends is the legacy of the Gospel. He was unashamed of the Gospel of Jesus Christ as God’s power to deliver and change the hearts of men and women, boys and girls from all walks of life. He treasured this Gospel so much that he gave his whole life tirelessly proclaiming it and training others in the work. When he founded AEF in 1960, he gave the Asian Church a priceless treasure and laid the foundation for the Gospel –– so that national evangelists and Christian workers could go out to the ends of Asia. Having served AEFI for nearly 30 years I am now looking to the Lord for another exciting chapter in my life – mentoring and encouraging younger leaders to do the work of evangelism in Asia. I am conscious of the fact that for AEFI to continue –-we need to tell and retell the story of AEFI to the next generation. We need to gather a band of dedicated prayer partners and supporters who will treasure the Gospel so dearly that they will pray fervently give generously and go willingly. Give a one time or ongoing gift to the AEFI Futures Fund (the Futures Fund currently has close to $400,000 and it is our prayerful desire to increase the principal amount to $1.5 million). We use only the interest of this fund to support the AEFI leaders and workers. Support our new leaders with a monthly gift. (We are looking to the Lord for a monthly amount of $ 5000). Remember AEFI in your Will (please contact the AEFI office for more information). Above all, we covet your prayers that the Lord of the harvest will continue to bless the leadership, all the workers and that there will be a great harvest of souls on a scale we have not seen before. So, I encourage you to leave a legacy that counts for eternity – in your personal walk with the Lord, in your life of faith and in your generosity unto Him. Come and hear what God is doing in Buddhist communities. Bring your friends! Peter Thein Nyunt is a native of Myanmar and was converted after living as a Buddhist monk for some years. He is an ordained minister in Myanmar and he holds a PhD in Missiology from South Asia Institute of Advanced Christian Studies (SAIACS), India. 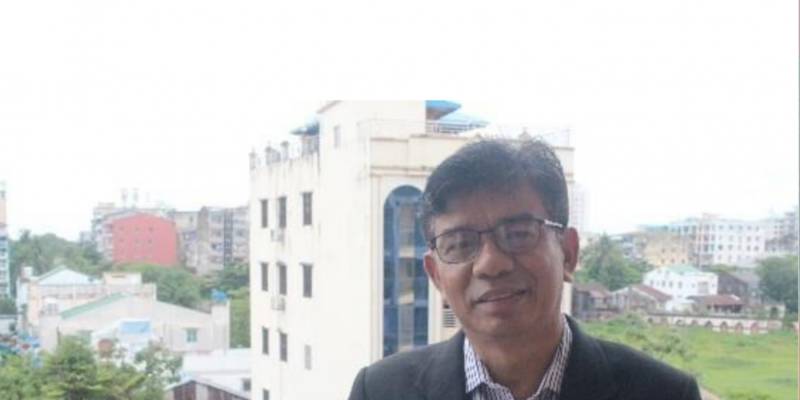 He is also former vice-principal, head of Mission Studies and director of post-graduate Studies of Myanmar Evangelical Graduate School of Theology (MEGST). He is the Founder and Director of Rakhine Missions Band for Christ (RMBC). 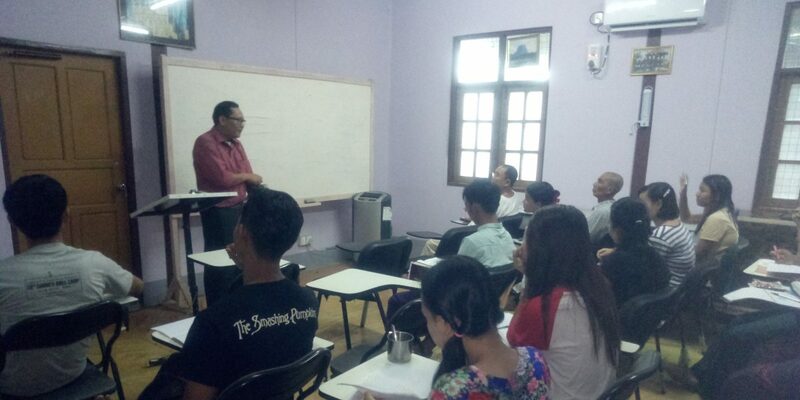 Peter has been a guest lecturer at AEFI’s Asia College of Ministry (ACOM) in Myanmar. He is also the author of: Missions Amidst Pagodas: Contextual Communication of the Gospel in the Burmese Buddhist Context. AEF International’s Grace Academy in Nepal, including the Train Up A Child (TUAC) project, has received approval to partner with Global Development Group (GDG), an Australian NGO. A benefit of this partnership is tax deductible donations can be made to the partnered project ‘J9444 Grace Academy Nepal’. This means that from 1st July 2017, all current and future Grace Academy/TUAC donors will be able to claim their donations as a tax deduction against their taxable income. Other AEF International projects may be considered for tax deductibility in the near future. At our last summer camp in Yangon, Myanmar — 43 youths made a commitment to follow the Lord Jesus. In the last week of May, 2017, AEF Myanmar started an intensive discipleship program for 15 of these young people. The training was conducted by Robin Khine and other leaders from our leadership in Myanmar. The week-long intensive program consisted of the fundamentals for the faith including such topics such as—how to read the Bible and pray; becoming more like Christ and how to witness for Christ. Rev Robin Khine was pleased with the discipleship program and said that these 15 young people will now be involved in practical ministries with a mentor guiding them. Another 15 will commence their week long training next month. According to the Hindustan Times (2010), 60 per cent of Mumbai, India lives in slum shanties, “even brick and cement houses are built in an unplanned manner with limited access to civic amenities”. 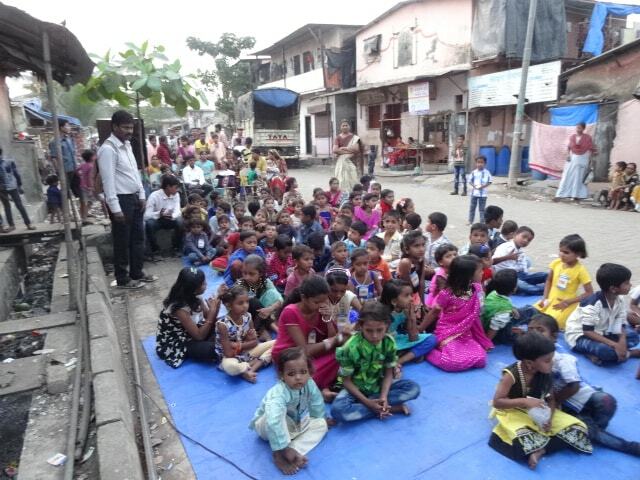 Slum children in Mumbai, are facing many challenges such as illiteracy and unemployment. Many adult slum dwellers are addicted to alcoholic habits and immoral acts. Some are suffering health issues such as AIDS and other long term illnesses. Thus, their children do not have good education, good clothing, good housing, safe water and good health. There are few good people in these conditions but they are in finding it difficult to protect their children from bad influences. 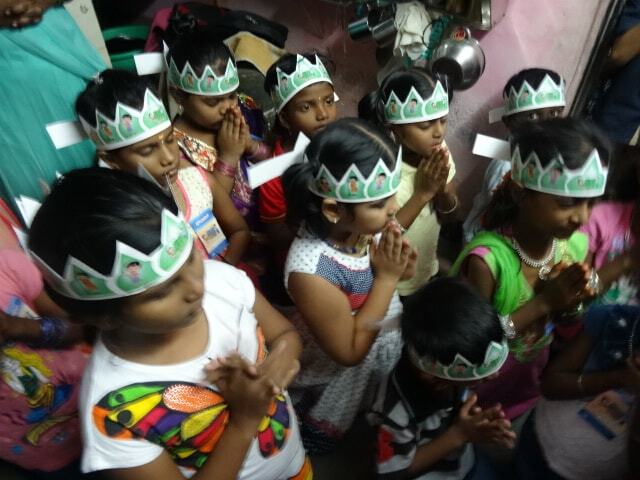 In such a situation, AEF India comes alongside these families to introduce programs and activities that foster the long term benefits of education, employment, social discipline and spiritual upliftment. Central to all our activities is prayer. We conduct regular Vacation Bible Schools (VBS) and Children’s Bible clubs. We thank God for nearly 1,500 children who participated in the VBS and were blessed. Our hearts are filled with joy for the children who have committed their lives to Christ through the VBS. 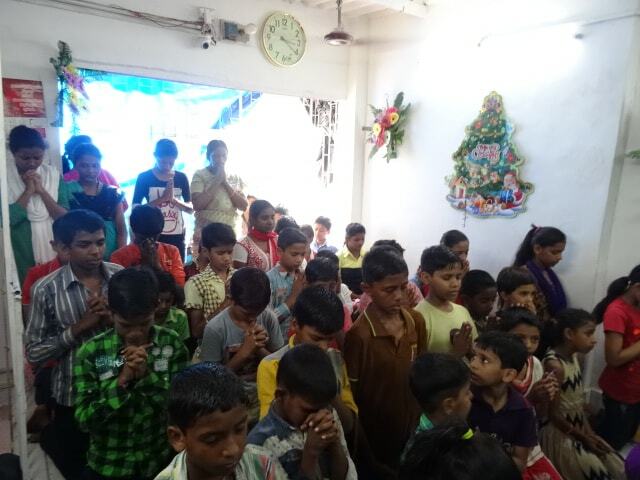 Because of this program, new children began to come for the Sunday school and their parents also come for the prayers meetings. In 2016, we arranged Christmas parties to reach the children during the Christmas season. 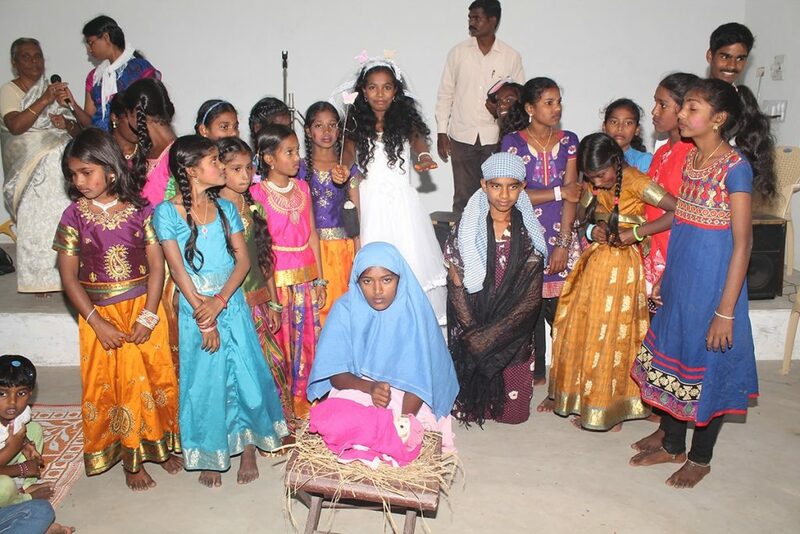 The Christmas programs were held in all the various fields in several Mumbai slums and the villages of Tamil Nadu and Odisha. We welcomed all the children at the door steps, by sticking star stickers on their cheeks as a gate pass to enter inside. We asked the children to come in party wear. 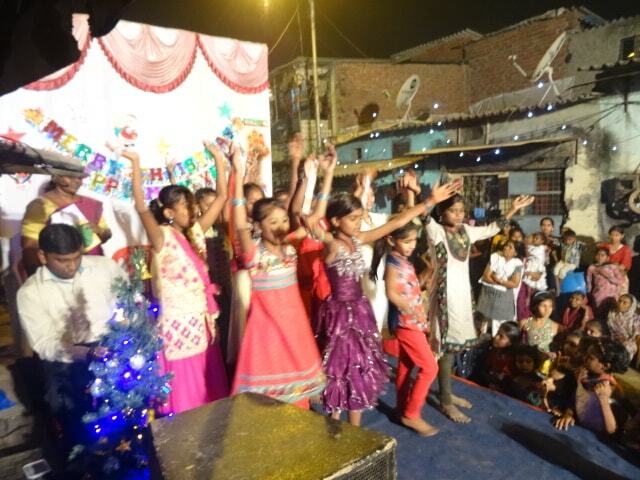 We started the program by singing a happy birthday song to Jesus, following we sung two new songs “Hello Friends” and “Mere liye ek dost hai” (there is a friend for me). 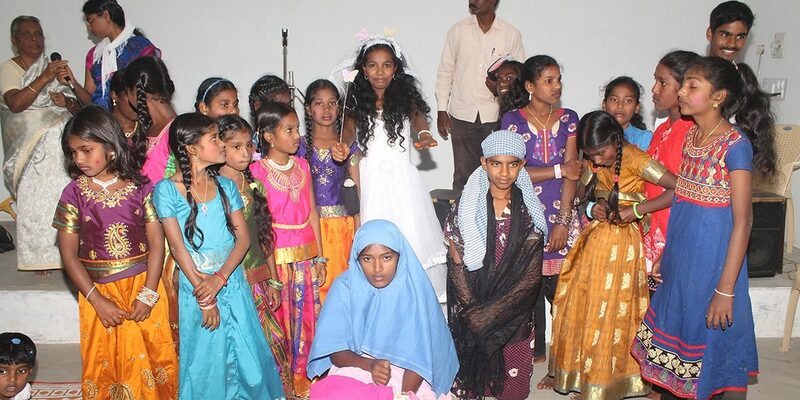 The Bible verse from Luke 2:10 was explained with a skit on “The Hope of Three Trees.” Later we distributed prizes to the children who participated in the programs and performed well in all the activities.